Download iOS 7 beta 1 for iPhone 4 / 4S & iPhone 5 – We have included non-developers direct links for our readers. Apple has already released iOS 7 beta 1 to developers, and pretty much users have already upgraded their developer devices to iOS 7 beta 1 for debugging and improving iOS 7 for final release. Apple introduced iOS 7 beta 1 to developers with a lot of changes to iOS core platform and introduced a brand-new user-interface to everyone. 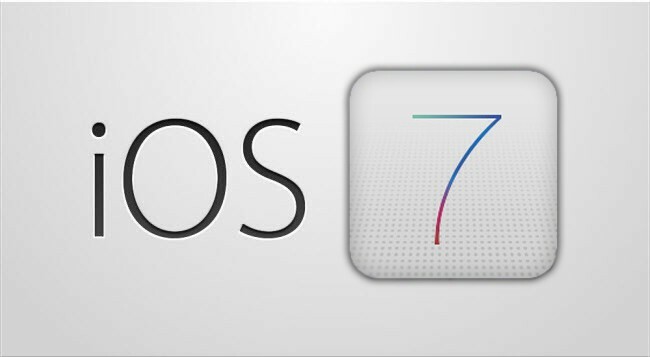 Apple has yet to complete its work on iPad and iPod Touch version of iOS 7, and therefore only iPhone users can install and download iOS 7 beta 1 for their devices. Just few hours back, we have pushed our direct links to download iOS 7 beta 1 for users, and after few responses we come to know that majority of people are trying to install it without having registered their UDID with official iOS Dev Center. The latest iOS 7 beta 1 cannot be installed on iPhone without UDID registration till this article. However, now it is possible to install & download iOS 7 beta 1 without developer access to iOS Dev Center. A user on Twitter with handle (@Dinod7) has published a video on his YouTube account that features the way to install iOS 7 beta 1 on iPhone without developer access. So if you want to download and install iOS 7 beta 1 on iPhone without developer access you can follow up with him. To install iOS 7 beta 1 on iPhone without developer access, you have to first download iOS 7 beta 1 for your iPhone specific model. nice, im gonna try this today or im not gonna sleep. still i hate what they did to our most favorite icons, sad part is they couldn’t go with the usual icons, it’ll be great. again thanks for the tute, will see you soon with a new update! I performed the procedure step by step and the following message appears: We’re unable to complete your activation. This device is not registered the part of the iPhone Developer program.If you are a member of the Program, please register your device in the iPhone Developer Program Portal. Could revert back. You know what is not working? GET IOS 7 BETA 1 NOW! FAST ACTIVATION LESS THAN 15 MINUTES! Can I normally install all apps from appstore if I put on iOS7? Can you still download apps? Or when you try to log into you iTunes account will it ask for a developer account? Hey once you download iOS 7 to your device are you able to sign in with your apple IDs to get your stuff (like contacts, movies, apps etc) with out apple bricking the phone? Yes, you can get your backup just by logging into your iCloud account after updating your device to iOS 7. It’s amazing. its not working for me, i get an error message 3194.. what do i do? You MUST restart iTunes after saving though.